Preheat the oven to 190 C and line the baking tray with an sheet. 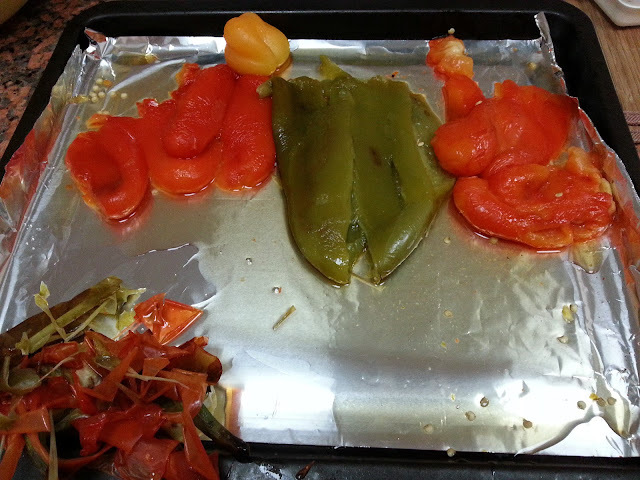 Arrange the peppers by leaving some space in between. 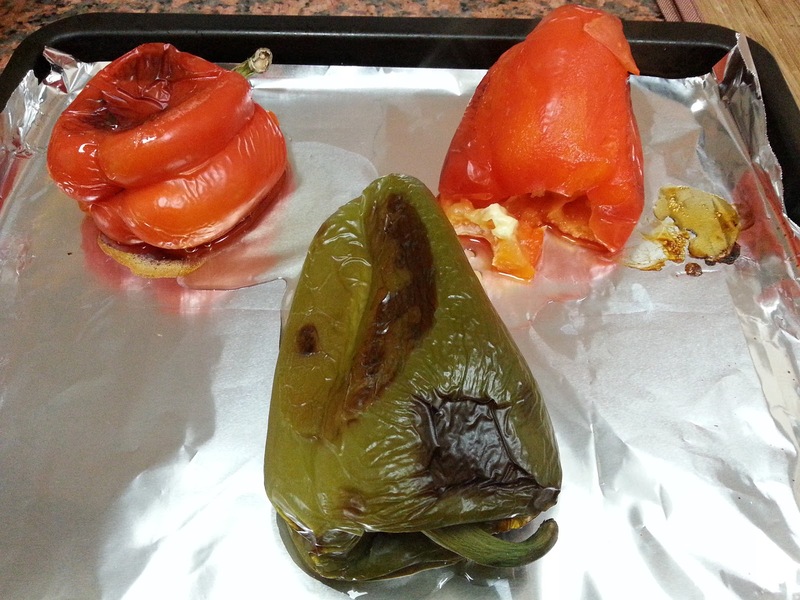 Roast them for 20 mins first then turn them to the other side and roast them again for another 20 mins. 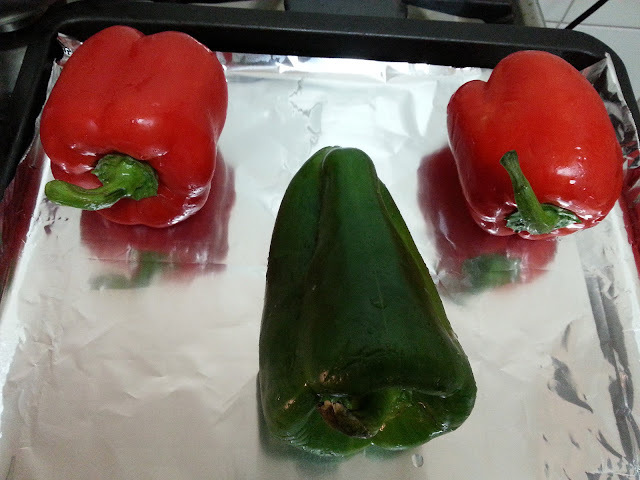 By this time the peppers should be looking like this. 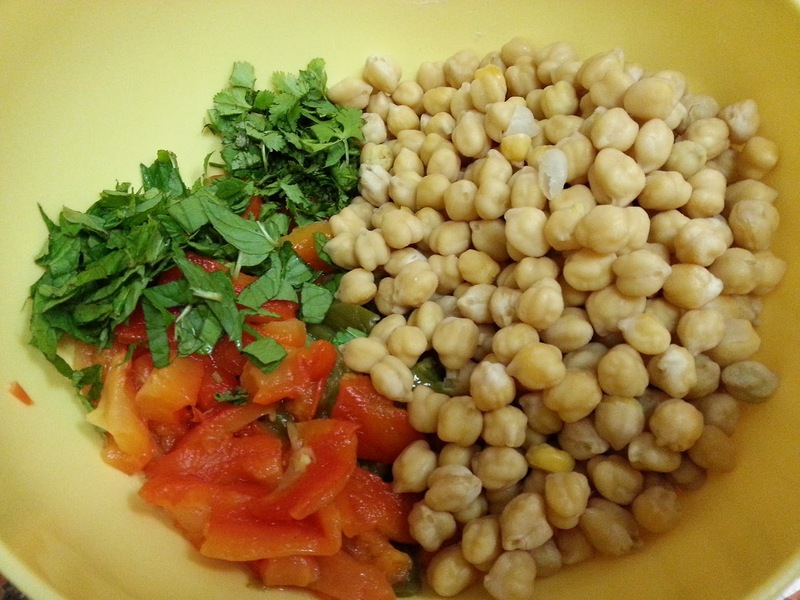 Cut the peppers into half-inch wide strips and put them in a large bowl together with the chickpeas, herbs and the capers. In a smaller bowl, whisk together the lemon juice, salt, garlic and oil. 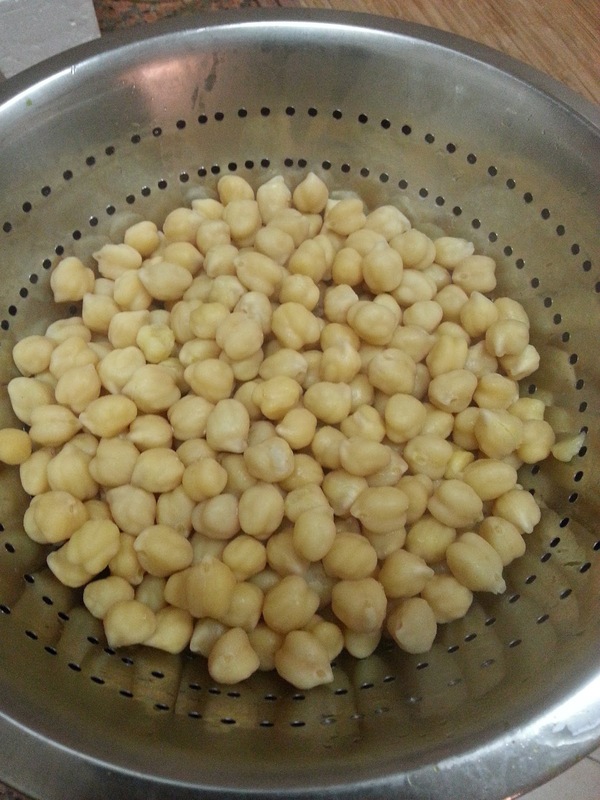 Pour over the chickpea mixture and combine. Serve immediately, or refrigerate it for a day to get the flavors to mingle fantastically. 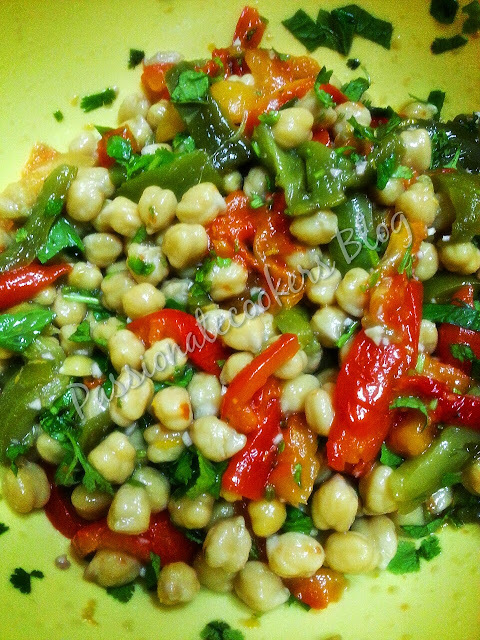 It would also be wonderful on a pile of torn lettuce, served with toasted pita wedges or toasted bread.